First, gather any information related to income and deductions for the tax years for which a return is required to be filed, then call the office. If you owe money but can’t pay the IRS in full, you should pay as much as you can when you file your tax return to minimize penalties and interest. The IRS will work with taxpayers suffering financial hardship. If you continue to ignore your tax bill, the IRS may take collection action. There are several different ways to make a payment on your taxes. Payments can be made by credit card, electronic funds transfer, check, money order, cashier’s check, or cash. If you pay your federal taxes using a major credit card or debit card, there is no IRS fee for credit or debit card payments, but the processing companies charge a convenience fee or flat fee. Taxpayers unable to pay all taxes due on a tax bill are encouraged to pay as much as possible. By paying as much as possible now, the amount of interest and penalties owed will be less than if you do not pay anything at all. Based on individual circumstances, a taxpayer could qualify for an extension of time to pay, an installment agreement, a temporary delay, or an offer in compromise. Please call if you have questions about any of these options. When it comes to paying your tax bill, it is important to review all your options; the interest rate on a loan or credit card may be lower than the combination of penalties and interest imposed by the Internal Revenue Code. You should pay as much as possible before entering into an installment agreement. For individuals, IRS Direct Pay is a fast and free way to pay directly from your checking or savings account. Taxpayers who need more time to pay can set up either a short-term payment extension or a monthly payment plan. Most people can set up a payment plan using the Online Payment Agreement tool on IRS.gov. A short-term extension gives a taxpayer an additional 60 to 120 days to pay. No fee is charged, but the late-payment penalty plus interest will apply. Generally, taxpayers will pay less in penalties and interest than if the debt were repaid through an installment agreement over a greater period of time. A monthly payment plan or installment agreement gives a taxpayer more time to pay. However, penalties and interest will continue to be charged on the unpaid portion of the debt throughout the duration of the installment agreement/payment plan.Taxpayers who owe $50,000 or less in combined tax, penalties and interest can apply for and receive immediate notification of approval through an online, IRS web-based application. Balances over $50,000 require taxpayers to complete a financial statement to determine the monthly payment amount for an installment plan. It’s important to understand the ramifications of not filing a past due return and the steps that the IRS will take. 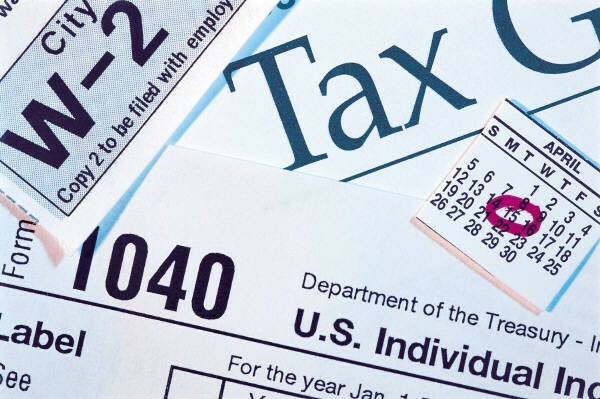 Taxpayers who continue to not file a required return and fail to respond to IRS requests for a return may be considered for a variety of enforcement actions–including substantial penalties and fees (see article below for additional information on this topic). If you haven’t filed a tax return yet, don’t delay. Call the office today to schedule an appointment as soon as possible. Do You Know the “ABC’s” of an HSA-Health Savings Account?